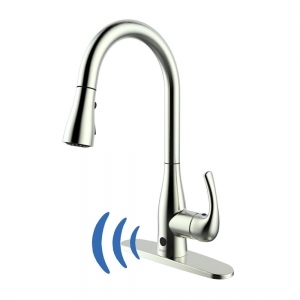 Home Depot今天deal of the day 推出Pull-Down Sprayer Kitchen Faucet with Motion Sensor 動作感應廚房水龍頭- 3色可選 – 3色可選特賣. 免運費. 只有今天一天.